Professional golfer Robert Allenby struck a spectator in the head with a wild tee shot at the Australian Masters in 2010. But golf is not entirely without its physical dangers. Errant golf balls are capable of causing severe injury or death. In 2002, Dr. Azad Anand was struck in the eye by a playing partner’s wayward golf ball, causing retinal detachment and permanent vision loss. More recently, in the fall of 2010, sixty-nine-year-old Hiroshi Tango was struck in the back of his head by a golf ball and pronounced dead nine days later. 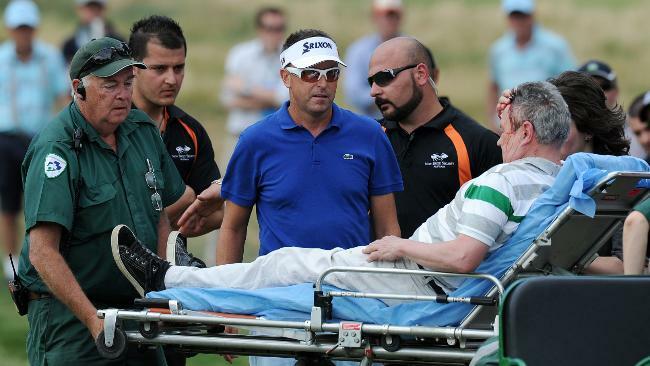 While golf is not necessarily a dangerous undertaking, it is clear that accidents do happen. When these accidents happen, the legal question arises: will the injured golfer be entitled to compensation? And who will foot the bill? The answer turns on state law. Currently, there is a split of authority among the states as to what an injured golfer must plead to maintain a cause of action. In some states, the Plaintiff must plead only ordinary negligence. In others, the courthouse doors remain shut unless the Plaintiff pleads recklessness—a standard that makes recovery significantly more difficult. The current trend among courts is to adopt the recklessness standard—the majority rule in the context of recreational sports generally—to golf. This trend, however, is a relatively new development. Before 1990, no court required an injured golfer to plead more than ordinary negligence. The negligence standard requires golfers to use ordinary, or reasonable care. At its core, this standard imposes a duty on golfers to give timely and adequate warning, customarily by yelling “fore,” before hitting if another person is within the “foreseeable zone of danger.” If there is not another person within the foreseeable zone of danger, a golfer has no duty to warn of his intention to hit, but must give timely and adequate warning if it becomes apparent that his ball has endangered another. This standard conforms to the Rules of Golf, which contain four rules of safety. Under the recklessness standard, a golfer is not liable for injuries caused by ordinary negligence. Instead, a golfer’s duty is to abstain from inflicting injuries willfully, wantonly, or recklessly. Recklessness is an intermediate standard occupying an uncertain penumbra between negligence and intent. Generally, recklessness—unlike negligence—requires a conscious choice of a course of action, with knowledge or reason to know that it will create serious dangers to others. But one’s conduct may be such an extreme departure from the standard of reasonable care that, even without appreciation of the risk, the failure to perceive it may be deemed reckless. While this standard is indeed nebulous, what is clear is that it is more difficult for plaintiffs to satisfy. Depending on state law, some golfers must always warn others of errant shots. There are compelling policy rationales behind the decision to adopt either standard. Some courts find negligence to be the better approach because it conforms to the well-established Rules of Golf. Therefore, it provides courts and golfers with a clearly defined standard of care. Likewise, the negligence standard is consistent with the long-standing traditions of golf and the spirit of the game. In particular, golfers reasonably expect other golfers to give the customary warning of “fore” when in harm’s way. Ultimately, many courts opt for the negligence standard because it merely asks golfers to act reasonably; reasonableness comports with common experience and common sense as it is generally required in human endeavors off the golf course. Similarly, negligence—the most common standard for liability in tort—is one that courts and juries are well suited to assess. The recklessness standard is also supported by well-developed policy rationales. The primary policy rationales for the recklessness standard are: encouraging participation in recreational sports; the desire not to chill conduct that straddles the borderlines of the rules; the avoidance of excessive litigation; consistency among recreational sports in standards of liability; and the conclusion that injury is an inherent risk of sports that all athletes assume by participating. Essentially, the argument is that by decreasing the potential for legal liability, the recklessness standard promotes vigorous participation in all recreational sports, including golf. While the policy rationales behind the recklessness standard are well-intentioned—and make good sense in other, more physical recreational sports—they appear to be off the mark when applied to golf. First, it is not clear that decreasing the potential for legal liability promotes participation in golf. A decreased potential for legal liability comes at the expense of denying remedies to golfers injured by unreasonable conduct; some golfers may be discouraged from participating where they have no recourse for injuries sustained by negligent injurers. Second, the argument that chilling borderline prescribed and prohibited conduct would fundamentally alter the sport fails to have the same force in golf that it does in other sports. Unlike ice hockey or football, where an athlete gains a competitive advantage by playing aggressively—and therefore chilling rough play would fundamentally alter the sport—a golfer gains no competitive advantage by playing aggressively. Further, golfers—unlike other athletes—“have time to consider the consequences of their actions and to guard against injury to those who may be in harm’s way.” In such an environment, it is not inappropriate to ask golfers to act reasonably. Third, it is unlikely that the recklessness standard achieves its goal of avoiding excessive litigation. Although the standard makes it more difficult for plaintiffs to win lawsuits, by decreasing the threshold for liability it also reduces incentives to prevent against injuring others. Thus, more injuries—and more litigation—are likely to result. More fundamentally, the recklessness standard seems to forget that the primary purpose of tort is compensation—not punishment. Recklessness allows for recovery of punitive—and not merely compensatory—damages. This all-or-nothing approach implies that plaintiffs should be compensated only when the defendant’s conduct is deemed worthy of punishment. An equally troubling problem with the recklessness standard is that it shifts costs from negligent actors to innocent victims. Because the recklessness standard is not only based on rationales that fail when applied to more genteel recreational sports like golf, but is plagued by a host of other fundamental deficiencies, an alternative approach is necessary. Fortunately, the negligence standard seems to provide the solution. Zurla v. Hydel, 681 N.E.2d 148, 152 (Ill. Ct. App. 1997). See Anand v. Kapoor, 2009 N.Y. Slip Op. 3110 * 2-3 (N.Y. App Div. April 21, 2009) aff’d 2010 N.Y. Lexis 3730 at *3 (N.Y. Dec. 21, 2010). The first case to do so was Thompson v. McNeil, 559 N.E.2d 705 (Ohio 1990). E.g., Alexander v. Wrenn, 164 S.E. 715, 716 (Va. 1932). E.g. Shin v. Ahn, 165 P.3d 581, 583 (Cal. 2007). Schick v. Ferolito, 767 A.2d 962, 965 (N.J. 2001). Dilger v. Moyles, 54 Cal. App. 4th 1452, 1454 (Cal. Ct. App. 1997) (quoting Knight v. Jewett, 834 P.2d 696, 716 (Cal. 1992)). Schick, 767 A.2d at 965. Id. at 968 (citing Melissa Cohen, Note, Co-Participants in Recreational Activities Owe Each Other a Duty not to Act Recklessly, 4 Seton Hall J. Sport. L. 187, 202 (2000)). This point has been nicely made elsewhere. See Daniel E. Lazaroff, Golfer’s Tort Liability—A Critique of an Emerging Standard, 24 Hastings Comm. & Ent. L.J. 317, 331 (2002). A go to article for golf law or any persons with golf related injuries. Clear, concise, and well supported. Thank you for this piece. For as long as I have been playing the great game of golf, the accountability for an errant golf shot has been a topic of argument among myself and my golf pals. It is a pleasure to have such a thorough point of reference for whenever the duck hook may come out again. Thanks again Greg – gem of an article. I once broke a man’s femur off the tee on the 18th hole. Wish I would have read this before I settled for 18 mill. I’ve thought about this issue for far too long. Thanks for putting the argument to rest in an impressive and easy-to-read article. This piece combined the eloquence of Mark Twain with the wit of Voltaire. Who is the real author of this article? Job well done young man, job well done. very interesting piece…I often find myself wondering how good of an idea it is to prematurely tee off in an effort to get the group ahead of me to speed up their play…apparently not such a bad idea in the states that employ the mere negligence standard bahaha. FORE! When I was a young lad, my father forced me to work the family owned driving range. I often assumed the responsibility of gathering the scores of golf balls left behind by customers. Since then, I’ve always been afraid of moving golf balls (and my father, but thats a story for another time). Indeed, I’ll never forget the excited look on people’s faces whenever I ventured out on the range to do my job. After reading this article and subsequently finding out that my state employs the recklessness standard, I think it may be time to get back on the golf course and finally confront my fears. Thanks for writing a piece that even a non-lawyer and non-golfer such as myself can find useful!